ARDA-WIN Advantage has announced a full agenda for the beginning of 2016. A special interest committee under the American Resort Development Association (ARDA) umbrella, ARDA-WIN is a women-centric group that aims to advocate, educate and connect its members by fostering personal and professional growth through a focus on networking, philanthropy/social responsibility, mentoring and diversity/inclusion within the vacation ownership industry. The organization will hold its annual regional event in Orlando, FL, on January 22-23 at the UCF Rosen College of Hospitality Management. Among the many topics covered will be “Five Strategies for Breaking the Glass Ceiling” and two workshops: “Power Networking” and “Equity in the Workplace.” In addition, there will be numerous networking opportunities, sponsored by First American Title Insurance. Registration details here: www.arda.org/win/winregional/. ARDA-WIN’s new co-chairpersons of the Philanthropy/Social Responsibility Content Group are from new corporate underwriter, Grand Pacific Resorts (Carlsbad, CA): Lisa Wanzenried, RRP, vice president/business and market strategy and Renee Wagner, RRP, director of marketing. They will take over the role left vacant by Ellen Devine, RRP, Bluegreen Vacations, who recently retired. Both women are well known for their involvement with social responsibility initiatives for Grand Pacific Resorts, Send Me On Vacation, and within the vacation industry as a whole. Also, the Communications Content Group has been reinstituted, with Georgi Bohrod, RRP, in the role of Chair. Bohrod was a founding Board member of ARDA-WIN and has been active in the organization throughout its history. She is principal at GBG & Associates (San Diego), a PR firm that focuses primarily on the vacation industry. Bob Kobek, RRP, president of CustomerCount and a long-time member of the ARDA-WIN Committee and Networking Content Group Chair, has fired up WIN Wednesdays, re-energizing the popular regional monthly networking happy hour get-togethers. WIN Wednesdays are on the fourth Wednesday of every month in Fort Lauderdale/Boca Raton, Daytona Beach, Indianapolis, Las Vegas, Orlando, Phoenix, San Diego and Tampa Bay. Locations and times may be found at www.arda.org/win/wednesday.aspx. Each year, ARDA-WIN honors a woman who best embodies the group’s mission with philanthropic service, leadership and membership support. The award will be presented at ARDA World 2016 in Hollywood, FL, in May. Nominations are now open for the award: www.arda.org/win/overview.aspx. In 2016, ARDA-WIN is introducing the ARDA World Scholarship to help an active member attend ARDA’s annual convention, ARDA World. Applications will be accepted through Friday, February 19, 2016; to learn more about the scholarship benefits or apply, please complete the application (also found at www.arda.org/win/overview.aspx ). 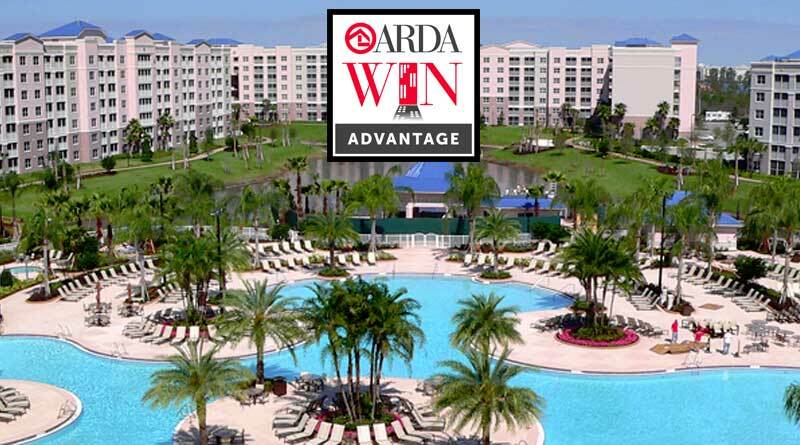 ARDA-WIN Advantage membership is open to all employees of an ARDA member organization. Corporate Underwriter support is also available. For more information, contact Darla Zanini (dzanini@arda.org) or ARDA-WIN Chairperson Melanie Gring (mgring@exploregci.com). The American Resort Development Association (ARDA) is the Washington D.C.-based professional association representing the vacation ownership and resort development industries. Established in 1969, ARDA today has over 800 members, ranging from privately held firms to publicly traded companies and international corporations with expertise in shared ownership interests in leisure real estate. The membership also includes timeshare owner associations (HOAs), resort management companies, and owners through the ARDA Resort Owners Coalition (ARDA-ROC). For more information, visit www.arda.org.